We all know that a pet’s diet can have a significant impact on their overall health and wellbeing. By providing your feline friend with a healthy, balanced diet, you can help them stave off a whole host of medical conditions. Among cats, bladder stones are one of the most common issues. These small, rock-like deposits form in the bladder, causing painful inflammation and blockages. Nasty as these little stones are, there’s plenty that owners can do to keep them at bay. Feeding your pet a urinary tract cat food can help keep things flowing smoothly, by limiting the presence of certain minerals in your cat’s diet, and maintaining an appropriate urinary pH. 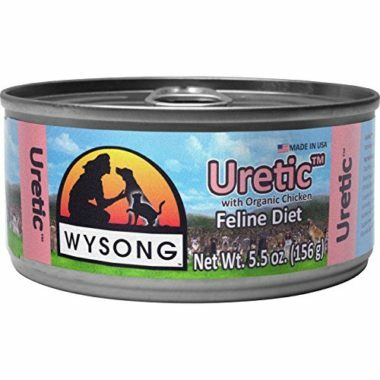 When it comes to selecting a urinary care cat food, you’ll find yourself faced with myriad options. That’s where we come in – to help you choose the purrfect solution for your cat, we’ve compiled this handy buying guide. Below, we run through the top 10 options on the market right now, before answering some common questions about urinary issues in cats. 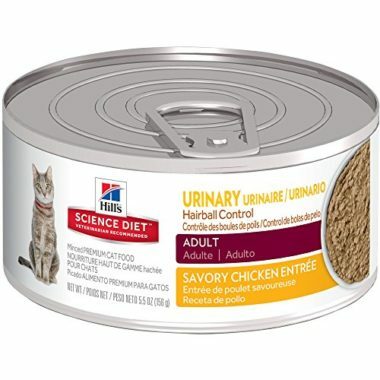 Kicking off our list is this Purina urinary cat food. Something of a heavyweight in the petfood world, Purina have channeled all of their expertise into crafting a food that helps cats with urinary issues stay healthy and comfortable. The food is tailored to tackle these issues in a few ways. First of all, it features a high moisture content, for easy digestibility and better hydration. Secondly, it’s low in magnesium, one of the main culprits behind bladder stone formation in cats. The food also helps to lower the pH of your cat’s urine, reducing the risk of stone formation, and helping to prevent infection. These highly specific features don’t detract from the food’s ability to nurture your feline friend. 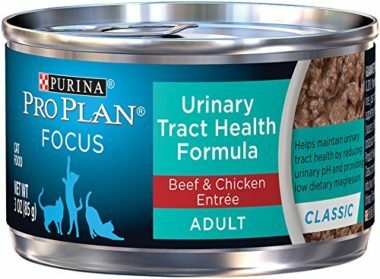 Made with real beef and chicken, the tasty dish offers cats the protein they crave. Meanwhile, vitamin E promotes healthy hair and skin, while B vitamins support a healthy metabolism. The food is also blended to support your cat’s immune system, contributing to overall health and further tackling pathogens in the urinary tract. The next diet to earn itself a spot on our list is Hill’s CD cat food. 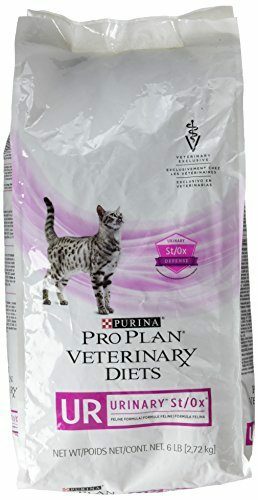 Tailored specifically to help cats with urinary issues, this tasty food helps to prevent bladder stones, and has the added bonus of tackling fur balls, too. Made with optimal magnesium levels, the blend helps to keep painful urinary crystals at bay. It’s also full of healthy fiber, which helps any furballs your cat experiences to pass easily. The wet food is also full of moisture, for optimal hydration, and made with natural ingredients. In fact, it’s totally free from artificial flavors and preservatives. A tasty blend of chicken, turkey, and pork is sure to satisfy your cat’s meaty cravings, and keep them coming back for more. The food also contains a blend of vitamins and minerals your cat needs for great overall health. Hill’s are a well-known name when it comes to special diets, and they’ve successfully channeled their expertise towards Hill’s urinary cat food. 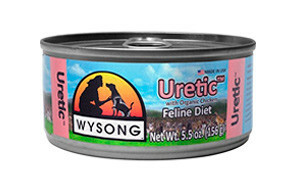 Wysong have also earned themselves a spot on our list, with their own urinary health cat food. The first dry food to make out list, this clever blend is natural, nutrient dense, and formulated to promote better urinary health. Excess minerals, which can result in the formation of urinary crystals, have been removed from the food, while important methionine has been added. As well as keeping urinary issues at bay, the food is great for your cat’s overall health. Wholesome fruit and vegetables provide the range of micronutrients your pet needs for a healthy and happy life. Omega fatty acids help their skin and coat to flourish, while antioxidants support the healthy functioning of their immune system. Free from fillers and artificial additives, this food is a tasty and natural option that your feline friend will love. It’s suitable for cats of all breeds and life stages, making it an ideal feed for multi-cat households. Royal Canin SO is the next food to make it onto our list. Royal Canin are a well-known name when it comes to special pet diets - and for good reason. Their carefully blended urinary SO cat food helps your kitty to tackle a range of health issues, from cystitis, to urinary crystals. Thanks to its high moisture content, the food also helps to keep the urine dilute, flushing out any excess minerals that can trigger these conditions. The food is very appealing to cats, too - chicken and pork are its first ingredients, providing the tasty protein they need and crave. Meanwhile, a selection of fish oils offer healthy Omega fatty acids, which help your cat’s coat and skin to flourish. The food is also rich in iron, which is great for maintaining your cat’s energy levels. Hill’s have earned themselves a second spot on our list with their dry UTI cat food. With its optimal magnesium content, and high levels of fiber, the food has been carefully formulated to promote urinary tract health, while making fur balls easier to deal with. The carefully balanced food helps support your cat’s urinary system overall, while its low magnesium content helps to prevent the formation of urinary crystals. Meanwhile, its clinically proven antioxidant blend helps to support a healthy immune system. Not only is this great for your cat’s overall health, a properly functioning immune system will also support your cat as they fend off UTIs. Free from artificial colors, flavors, and preservatives, Hill’s diet is gentle on sensitive stomachs, too. It’s made with natural animals proteins your cat will love, and a range of fruit and veg extracts for overall nutrition. 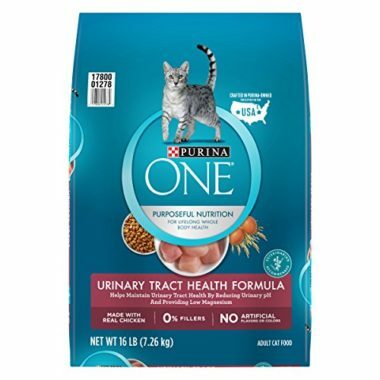 Purina have also found a second spot on the list, thanks to their dry food, specially blended to promote urinary tract health in cats. The food encourages increased water intake, diluting the urine and helping to prevent problems such as bladder stones and UTIs. The food also helps to acidify the urine slightly, dissolving any crystals that may have begun to form. Thanks to its reduced magnesium content, these crystals are unlikely to form in the first place, so you can rest assured your kitty has great all-round protection from this common but dangerous condition. As well as protecting the urinary tract, this food also helps to promote your cat’s overall health. Its rich protein content helps kitties to thrive, while vitamin E supports their hair and skin. Vitamin B-12 promotes a healthy metabolism, while antioxidants help keep the immune system fighting fit. Owners report that the food works like a charm, keeping urinary crystals at bay even in cats who are especially prone to them. Making their third and final entry onto our list is Purina, with this delicious and nutritious dry cat food. The specially blended formula helps maintain a healthy urinary tract in a number of ways. It acts to lower the pH of your cat’s urine, making it slightly more acidic. This helps to dissolve any urinary crystals, and makes it much more difficult for future deposits to form. The formula also contains low levels of magnesium - the usual culprit in urinary crystal formation. As well as keeping urinary issues at bay, the food also promotes great overall health. Made with real chicken, the food offers cats all the protein they need to thrive. Meanwhile, a range of vitamins and minerals help to support overall health. Omega three and six fatty acids keep the skin and coat in tip top condition, while vitamins A and E support a properly functioning immune system. Free from artificial colors, flavors, and preservatives, the food is great for cats with sensitive stomachs, too. 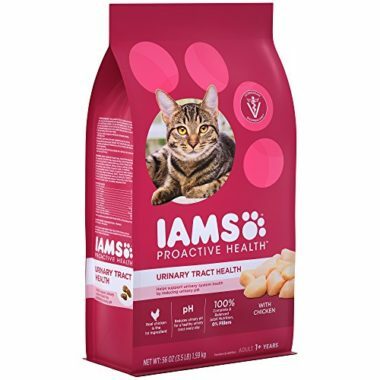 The next food to earn a spot on our list is by IAMS. Their tasty food helps to protect your cat’s urinary tract from common ailments. 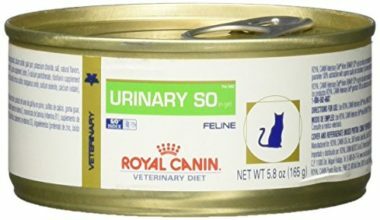 Specially formulated to reduce the pH of your cat’s urine, the food helps to dissolve urinary crystals, and prevent new deposits from forming. It also contains a carefully balanced level of magnesium, further reducing the risk of crystal formation. Cats love the taste, too. At its heart, the formula revolves around real natural chicken, providing your feline friend with the lean protein they crave. Each kibble provides a satisfying crunch, and also helps to keep plaque at bay for a healthy mouth. The food also contains vitamin E, for a strong immune system, and calcium and potassium to support the normal functioning of the heart. Owners say that even picky cats loved the taste, and noticed a marked improvement in urinary health. If your cat is sensitive to grains, finding the perfect food can sometimes be a challenge. 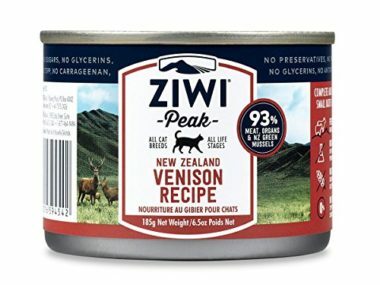 Luckily, Ziwi Peak have you covered, with their grain-free wet food. Although it’s not specifically designed for urinary tract health, the formula does support the urinary tract. 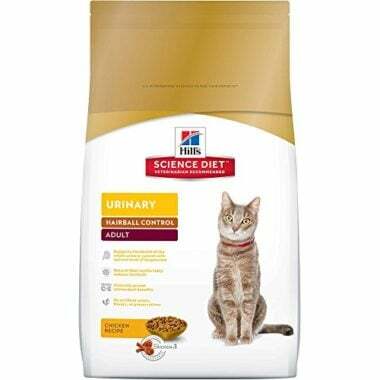 Its high moisture content helps to dilute your cat’s urine, significantly reducing the risk of UITs and urinary crystals. Because the food is grain-free, it’s also low in magnesium. 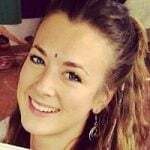 This further reduces the likelihood that urinary crystals will form. Thanks to its deliberately limited ingredients list, the food is perfect for allergy prone cats, and sensitive stomachs. It’s free from grains, rice, soy, sugars, potatoes, fillers and artificial preservatives. Instead, the recipe hinges on single-sourced venison; grass-fed and ethically raised. The blend also features New Zealand Green Mussels, known for their ability to support joint health. The food also contains a range of vitamins and minerals to support overall health, derived from organ and bone - just as your cat would encounter them in the wild. Last, but not least, Wysong finish off our list with their second entry. 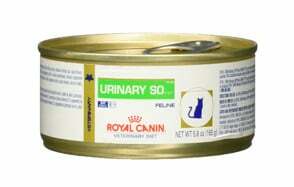 Their wet Uretic diet is the perfect solution for cats with recurrent urinary problems. Thanks to its high moisture content, the food helps to dilute cats’ urine, keeping urinary crystals and UTIs at bay. With its low carbohydrate content, the food not only mimics the kind of diet that cats would eat in the wild, it also contains relatively low levels of magnesium, further reducing the risk of urinary crystal formation. Made with organic chicken, the food is rich in healthy protein, too. Alongside this chicken, Wysong’s blend contains a range of vitamins and minerals, essential for overall feline health. B vitamins promote a healthy metabolism and energy levels, while vitamins C and A promote a properly functioning immune system. Owners say that most cats enjoy the rich taste, and noticed that the food prevented UTIs from occurring. If your cat is struggling with urinary tract issues, one of these 10 foods could be the perfect solution. With so many options to choose from, we’re confident that there’s something on our list to meet the needs of any feline friend. We’ve also answered some common questions about urinary tract issues in cats, so you can work out whether your kitty needs help, and how you can best support them. We’ll discuss how each of these factors contribute to better urinary health later on. Generally speaking, wet foods are best for cats with urinary tract issues. This is because they have a much higher moisture content, helping to dilute the urine, which reduces the risk of UTIs and urinary crystals. If you and your cat prefer dry food, there shouldn’t be an issue provided you moisten it before serving, and ensure that fresh water is always available. Any allergies or sensitivities your cat has should always be taken into account when choosing a food for them. Luckily, limited ingredient and grain-free foods can also possess urinary tract health benefits. Check the ingredients list carefully before making your final decision. You don’t want to treat your cat’s urinary tract issues, only to see another area of their health deteriorate. For this reason, it’s important to choose a balanced food made with quality ingredients. Look for a food featuring real meat as its first ingredient, and avoid artificial additives and fillers. UTIs can be harder to spot in our pets than in ourselves, since cats can’t just tell us their symptoms. If your cat exhibits one or more of these symptoms, it’s important to take them to the vet as soon as possible. The symptoms may have been triggered by an infection, but can also be the result of inflammation, or urinary crystals. Receiving a professional diagnosis will arm you with the knowledge you need to treat your cat’s condition. How Can Changing Your Cat’s Diet Help with Urinary Problems? As mentioned earlier, foods with a high moisture content can help your kitty to stave off urinary tract problems. This is because eating moisture-rich foods increases their overall hydration, and dilutes the urine. Without high concentrations of minerals such as magnesium, painful urinary crystals are unlikely to form. Dilute urine also promotes regular litter tray visits, flushing out any bacteria that could trigger a UTI. When cats develop urinary crystals, magnesium is the main culprit. By reducing your kitty’s magnesium intake, you can significantly reduce the risk of these crystals forming. 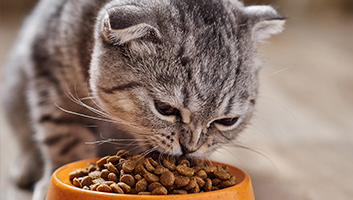 High concentrations of magnesium are often found in whole grains, so feeding your cat a grain-free diet could be an easy way to reduce their intake. Some foods work to reduce the pH of your cat’s urine, making it a little bit acidic. This acidic urine can often dissolve small urinary crystals, and helps to prevent new ones from forming in the future. Unfortunately, many commercial cat foods can increase the likelihood of urinary crystals forming. This tends to be due to their low moisture content, which causes a cat’s urine to become more concentrated than it naturally should be. When a cat’s urine contains high concentrations of certain minerals, deposits can form as crystals or stones. Urinary crystals can also be a manifestation of broader health issues – most commonly, kidney disease. This condition changes the pH of your cat’s urine, making it slightly alkaline. Without an acidic environment, crystals and stones cannot be dissolved, and are more likely to form. 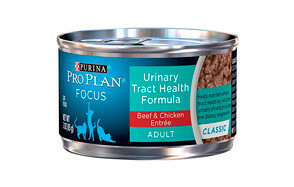 In our opinion, the best cat food for urinary health has to be Purina’s Pro Plan Focus. This tasty food gives cats the rich protein they need to thrive, while keeping bladder stones and other urinary issues at bay. 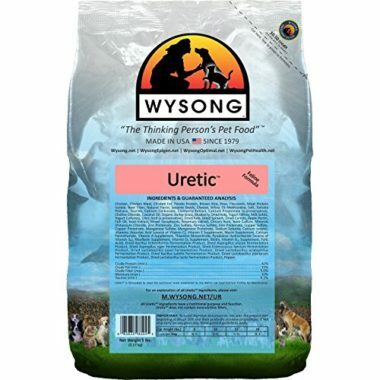 Its low magnesium content helps to prevent urinary crystals from forming, and it also acts to lower the pH of your cat’s urine, supporting overall urinary tract health. On top of these benefits, it’s a tasty, wholesome food. Rich in vitamin E, the blend promotes healthy skin and hair. It also contains a range of B vitamins, supporting your cat’s metabolism, and antioxidants for a properly functioning immune system. Owners say that even famously fussy felines love the taste, and noticed a marked difference in their cat’s urinary health.